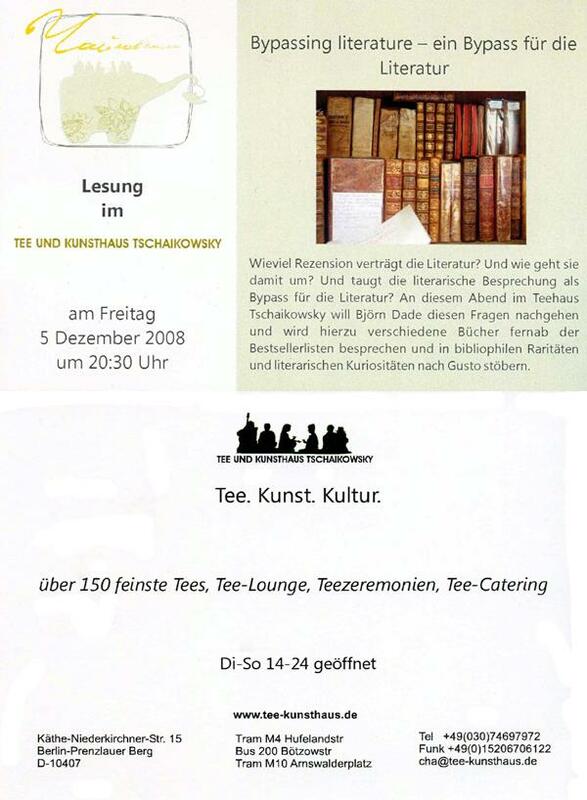 2008 Dezember — Quisquilia: Lib. nov.
People with supermarket carts. When did these things come out of the stores and into the streets? She saw these things everywhere, pushed, dragged, lived in, fought over, unwheeled, bent, rolling haywire, filled with living trivia, the holistic dregs of everything that is correctly put. She talked to the woman in the plastic bag, offering to get a shopping cart for her. Die Programmankündigung der Lesung findet sich hier.